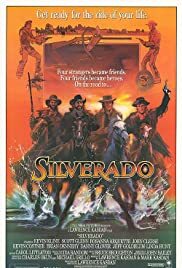 Many of the reviews say _Silverado_ broke new ground for the Western genre, but I would argue that while it was undoubtedly good escapist fun, it was more derivative than innovative. 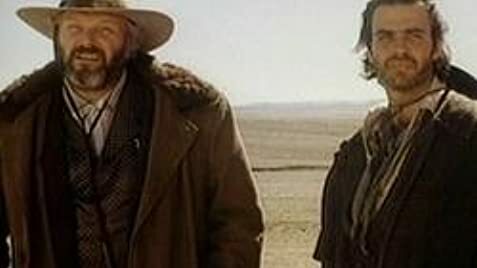 Sure, the conversations often seem much more natural than those from other Westerns, and indeed most of the characters are drawn with more dimensions intact, but the entire script could have been pulled together by pulling scenes from a bag full of ideas from other movies. Not to mention the locations, which I could have sworn I recognized from films like _The Big Country_ and anything by John Ford. For example, Brian Dennehy did a fine job, but you could tell who his character was just by the fact that Dennehy was cast in the role. Many of his characters share the traits of Sheriff Cobb (more than this, I won't say here). I have to say that as a firm non-fan of Kevin Costner, even I have to admit he did fine here as well... as did all the lead actors. Their careers since _Silverado_ have demonstrated that this was an unusually gifted ensemble.